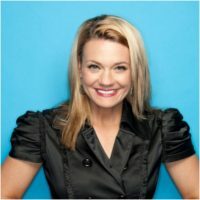 Sarah Hill is a National Edward R. Murrow and twelve-time Mid-America Emmy award-winning digital storyteller and virtual reality storyteller. Her company, StoryUP, captures reality in virtual reality. Hill recently completed an immersive experience for terminally ill and aging veterans not able to physically travel to see their memorials in Washington, DC with the virtual reality industry on Honor Everywhere, an immersive experience for terminally ill and aging veterans not able to physically travel to see their memorials. Sarah is a 20-year veteran of the interactive journalism industry. Before starting StoryUP, she built a successful TV feature franchise and the world’s first interactive news program based on Google hangouts. Alum of the Missouri school of journalism and former adjunct faculty, Sarah’s reporting has taken her team around the world covering stories about the human spirit in Vietnam, Guatemala, Sri Lanka, Brazil, the DRC, Indonesia, and Zambia. She is currently working on Mind Spa, an immersive experience app that will launch on IOS, Android, GearVR, Oculus, Playstation and Google Daydream in late December. How is working in virtual reality different compared to working in a traditional environment? Hill: I worked in the “traditional flat world,” as I choose to call it, for more than 20 years. In a traditional environment, the story teller has less control of the story, the audience has more control. It is all about video and audio but in a virtual reality environment, it is all about story telling input like spatial audio, haptics and hand controls. In the flat world, you could be a one man band but in virtual reality, you need an orchestra of many skill sets. What unique perspectives do you think women bring to virtual reality? Hill: Women bring the ability to be connectors, women are born connectors. They are networkers, they have the ability to find connections and skill sets; we are highly in tuned to collaborations. You can imagine what the future of all these platforms will be when all of these women get together, and use their connections to move the industry forward. I would love to see more female hardware developers. I would love to see more women in leadership roles at the head of these large companies. It will be great to see more women at the leadership positions. What advice do you offer to girls and women interested in virtual reality? Hill: Join Women in VR, develop connections that can help guide your career, connect with people who have talents and skill sets that you do not have, experience a lot of virtual reality, play a lot of virtual reality games, watch a lot of VR films, watch a lot of live streams from VR events, attend Oculus Connect, VRLA, SVVR and finally, just immerse yourself in the world of virtual reality. You recently worked on a virtual reality project for veterans. Can you tell us about it? Sarah Hill: We were trying to find a solution for terminally ill and aging World War II veterans who were no longer able to physically travel to see their World War II memorial in Washington DC. We were doing live streams from Google Glass to laptops in nursing homes and the set up was not too comfortable and so when virtual reality came out, we knew that was a potential solution for some of the men and women who were unable to physically travel. I quit my job at a wonderful company to create a virtual reality set up that focused exclusively on positive immersive media experiences, positive stories. My grandpa was a World War II veteran, and so we now have a new experience called Honor Everywhere 360. It is a virtual reality experience where we take World War II, Vietnam experiences to the veteran’s bedside and they are able to watch the memorials. Hill: We do immersive stories and we deploy them via an app that will be out in a couple of weeks. We also create some mindfulness experiences where we take people inside inspirational VR stories to escape their current reality temporarily. Our mind spa is a platform of immersive experiences categorized by brain wave patterns. We capture immersive experiences and then we have a psychologist who measures what those experiences do to your brain and so we are able to categorize these different brain experiences on the basis of brain activity. You are able to experience the different stories in different ways. You can experience empathy, you can experience mindfulness –all basically positive experiences. You can detach yourself from the real world for a few minutes to escape whatever you are going through. You can download StoryUP’s app on IOS, Android, GearVR, Google Daydream, HTC Vive and the Sony Playstation in the coming weeks and months.